Edaicode is a small Village/hamlet in Killiyoor Block in Kanniyakumari District of Tamil Nadu State, India. It comes under Midalam Panchayath and Vilavancode Tehsil. It is located 40 KM towards west from District head quarters Nagercoil. 18 KM from Killiyoor. 722 KM from State capital Chennai. Edaicode Pin code is 629152 and postal head office is Idaikkode. 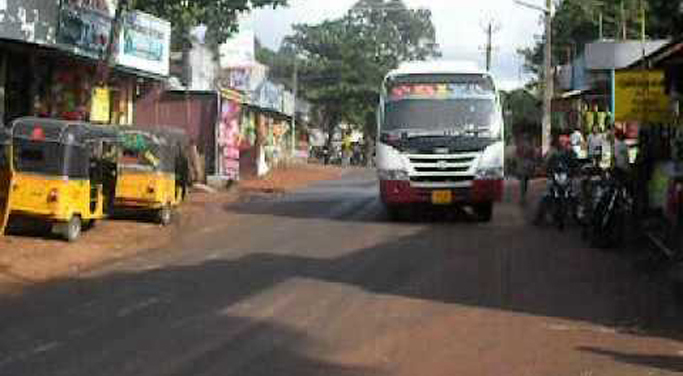 Muzhucode ( 4 KM ) , Vanniyoor ( 5 KM ) , Vilavancode ( 6 KM ) , Melpuram ( 6 KM ) , Vellamcode ( 7 KM ) are the nearby Villages to Edaicode. Edaicode is surrounded by Perumkadavila Block towards North , Parassala Block towards west , Thiruvattar Block towards East , Neyyattinkara Block towards west. Thiruparappu , Pacode , Unnamalaikadai , Neyyattinkara are the near by Cities to Edaicode. Parassala Rail Way Station , Kuzhithurai West Rail Way Station are the very nearby railway stations to Edaicode.